A Soldier's Battle Lost After Returning Home After being deployed to Iraq in 2003, Spc. Lance Pilgrim was diagnosed with post-traumatic stress disorder. His panic attacks led him to become dependent on pain medication, and he accidentally overdosed in 2007. His parents share their son's struggle to leave the war behind. 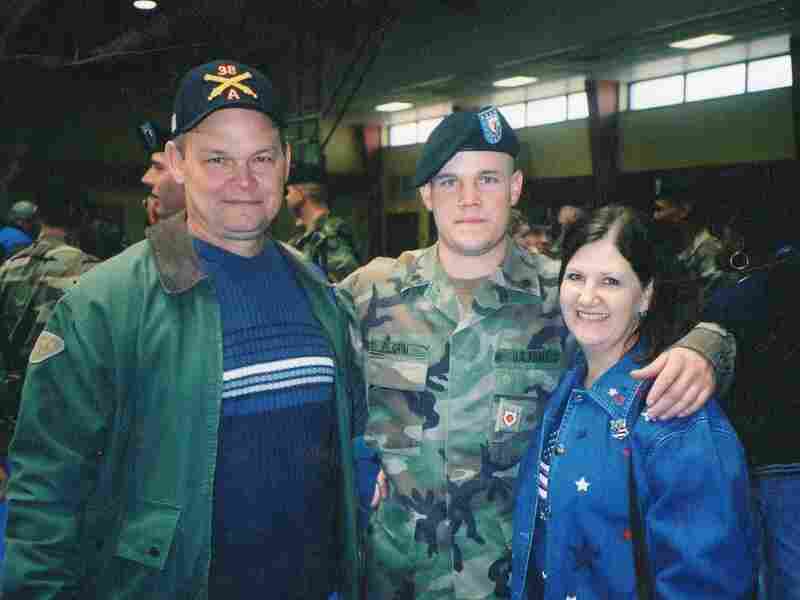 Lance Pilgrim with his parents, Randy and Judy, at the pre-deployment ceremony at Fort Sill, Okla., in January 2003. Spc. Lance Pilgrim was among the first Army troops to enter Iraq in March 2003. Eventually, he was diagnosed with post-traumatic stress disorder and died from an accidental overdose in 2007 at the age of 26. His father, Randy Pilgrim, says he first realized something was wrong when his son broke down at the sight of an animal that had been run over. The image had triggered the memory of a traumatic time overseas. "We tried once to go around bodies in Iraq, but we were ambushed. So we were told from then on, don't let anything slow you down," Lance Pilgrim told his father. "I had to run over people. ... I don't think I'll ever get that out of my mind." That same summer, he started managing his panic attacks with pain medication. His mother, Judy Pilgrim, says he became dependent on it. Then he started leaving the base without permission, showing up at home in the middle of the week. He finally got an Other Than Honorable Discharge, which meant his service in Iraq no longer qualified him for veterans benefits — or military funeral honors when he died. After his discharge from the Army, Lance Pilgrim worked to restore his veterans benefits, writing this letter to the VA. He was later diagnosed with service-related post-traumatic stress disorder. I don't know what's wrong with me, but I do know that before the war, I loved the Army and wanted to make it a career. Upon return from Iraq, I went from a Specialist promotable who knew my job well and loved what I did, to nothing in a few short months. Now I take my life one day at a time. I still have terrible nightmares and wake up violent and panicking. I can't stand to watch anything with military in it. It makes my anxiety level rise. I always feel like I have to protect my home and family, like someone is coming for us. Some nights, I stay up all night listening for intruders. I worry I might sleepwalk and get a gun sometimes. My father has had to remove all the guns out of the house. Some nights I worry about how I would kill an intruder without my gun. I'm always planning ahead in my mind what I'll grab if they come, what I'll do. I'm always over-alert to what's going on around me. My worst days are the days after one of my dreams. I wake up and my zeal for life is gone. Lance Pilgrim fought to recover those benefits, writing the VA a letter in 2004 telling them his "zeal for life" was gone. "He was trying extremely hard to get back on track, but he went from a strong, independent young man to just — he couldn't do anything on his own anymore, he was just almost helpless," Randy Pilgrim says. Lance Pilgrim got a new tattoo of a spider web, and when his mother asked him what it meant, he said, "Well, that's what I feel like I'm caught up in." Randy Pilgrim remembers noticing his son felt troubled two days before he died. "I remember him driving up, and I know he felt he had let me down, and I wish I had been more supportive at that moment," he says. "Now, if I could do it all over again, I'd give him a big hug and just say, 'Don't let this be a stumbling block for you.' And, you know, I didn't do that. And it was the last time I saw him alive." He had panic attacks the day he died, Judy Pilgrim says. She says her son had been wrongly prescribed hydrocodone, a pain reliever. "He was not supposed to have it, because he had had problems with it. And he died from an accidental overdose," she says. The Pilgrims filed a civil lawsuit against the U.S. Department of Veterans Affairs claiming negligence in the treatment of their son. 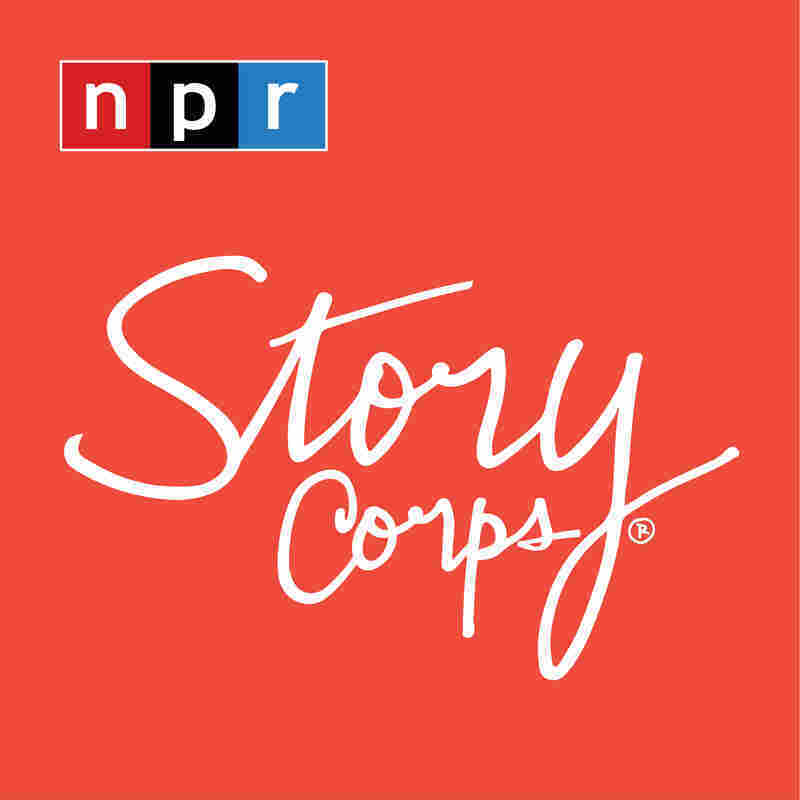 StoryCorps reached out to the VA and received confirmation that the case was settled in 2011. A spokesman for the U.S. attorney's office, which represented the VA, said, "We have no additional comment on this case other than what is in the public record." Randy Pilgrim says they also asked for a military funeral for their son, but they were denied. "He did everything his country asked him to do," Judy Pilgrim says. It wasn't until 2009 — two years after Lance Pilgrim's death — that the Army changed his discharge to "honorable" and his parents received his medals.